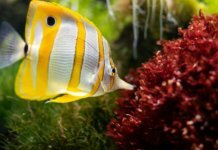 Are you sick of spending money on expensive aquarium decor that not only looks mediocre, but is also of low quality? Do you need a simpler and cheaper form of decor that will make your aquarium look more natural or appealing? If at least one of these two questions resonated with you, we recommend investing in a good aquarium background. 36 x 18 inches. Can be trimmed if necessary. Static cling ensures that it will stick to your aquarium's glass with ease. Great if you don't want to draw attention from your aquarium. 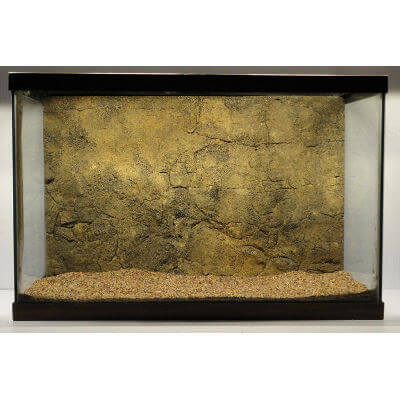 Rock surface aquarium background measuring 48 x 20 inches. Clips provided for easy installation. 10 cable ties and 2 pieces of plastic mesh measuring 12 x 8 inches. Rocky ledge background measuring 48 x 20 inches. Flexible and easy to put up. An aquarium background is a manufactured background that you stick onto the inner or outer glass of your aquarium. It makes your fish stand out more by drawing light to the aquarium. Additionally, it can also conceal equipment or glass stains. There are many themes to choose from, depending on the very types of backgrounds you can find. 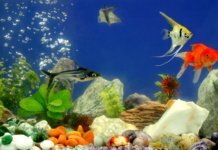 2D aquarium backgrounds – these refer to cheaper printed backgrounds that are similar to photo backgrounds and have a certain depth to their design, however they’re much cheaper and less realistic than 3D backgrounds. Usually, 2D backgrounds are very simple and should rarely be the centerpiece of your aquarium. 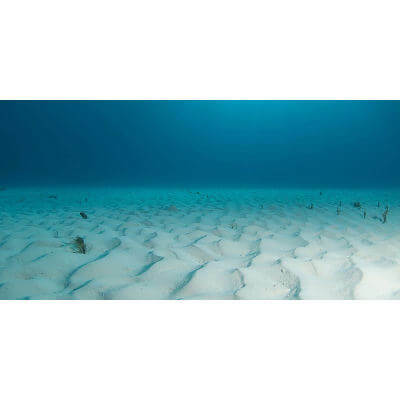 3D aquarium backgrounds – a good 3D background can bring an entire aquarium to life. If you’re a fan of rocky aquascapes but find aquarium rocks too expensive or heavy, a 3D background is an excellent choice. They’re usually only made to resemble rocks and are much lighter. Expect them to be on the more pricey side. However, they’re very easy to install and remove. Vinyl roll backgrounds – usually much cheaper than 3D backgrounds. Vinyl roll backgrounds are most suitable for freshwater or planted aquariums. They’re very durable and come in a variety of colors and patterns. Static cling backgrounds – this type is more expensive in comparison to vinyl backgrounds. 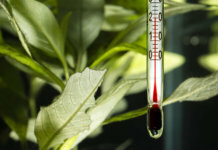 Their application process requires water as an adhesive that makes them stick to the glass. They’re also very easy to remove. Acrylic paint backgrounds – they’re cheap and made by applying acrylic paint to the outer glass of an aquarium, thus creating a painted background. Live wall backgrounds – these aren’t literal backgrounds, but instead planted moss that can serve either as a wall or carpet. This option is much more natural than a standard literal background. 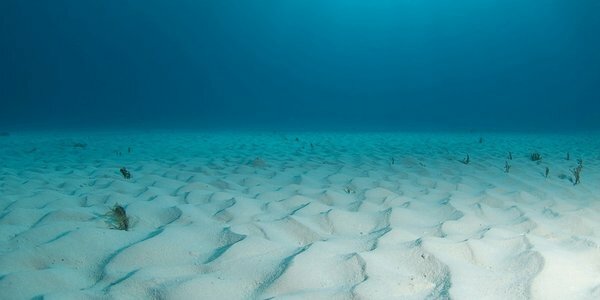 This stunning HD static cling aquarium background depicts a realistic sandy ocean floor. It will add visual depth to your aquarium with its beautiful shades of blue. The painted white sand helps colors of your fish stand out more against the contrast of the blue water. The aquarium background measures by 36 x 18 inches. We found it very easy to attach and remove, mostly due to its high quality material. It also sticks to glass surfaces with ease because of the static cling. If necessary, you can also trim it to fit the size of your aquarium. All in all, this lifelike background is a must-have if you want to enhance the beauty of your aquarium by giving it a breathtaking view of the ocean floor. A great choice if you want something simple that won’t draw attention away from your main aquarium decorations. This aquarium background is also perfect if you want two simple color options. 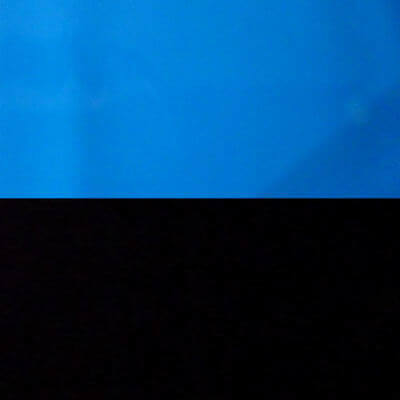 One side portrays a blue side of the sea, and the other a deep black side. Its height measures 19.5 inches, while the width is 48 inches. Although the background is not as colorful and rich in detail like our #1 pick, it’s ideal for concealing the back of your aquarium, or even if you want to hide the wall behind it (provided that there is one). The quality of this product doesn’t disappoint – the background doesn’t leave any stains and we found it very easy to apply. Moreover, it’s not prone to discoloration, which is a big plus. This 3D aquarium background is a little different from the ones above. It doesn’t depict a marine theme – instead, a rock backdrop. If you want a more earthy vibe for your aquarium, we recommend getting this background. 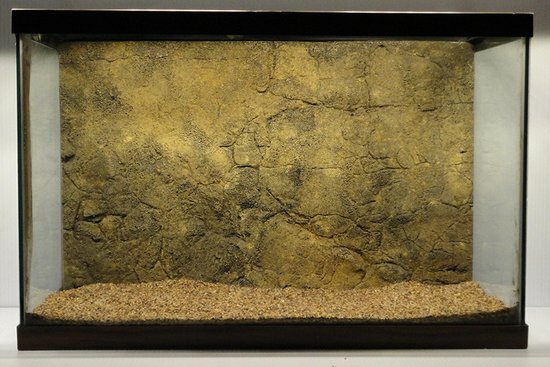 The lifelike 3D effect will give off the illusion of having real rocks in your aquarium. This aquarium background is surprisingly easy to set up because it’s pretty flexible. If your aquarium has inhabitants, this is definitely a must-have, as it will add more character to their living space. 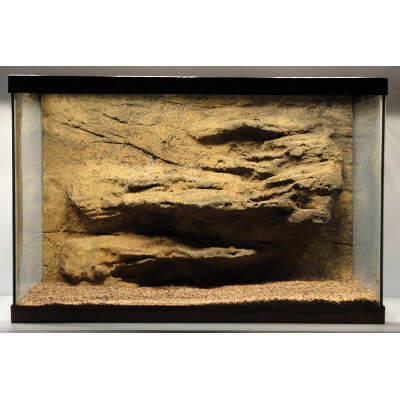 This aquarium background is especially perfect if you’re an aquascaping fan who wants rocky elements in your aquarium without having to deal with heavy (and often expensive!) rocks. A very fun and original DIY aquarium background option if you want to incorporate a plant into your aquarium’s decor and in turn, transform it into the focal point. The set-up kit includes almost everything necessary to create a real moss wall or carpet inside your aquarium. 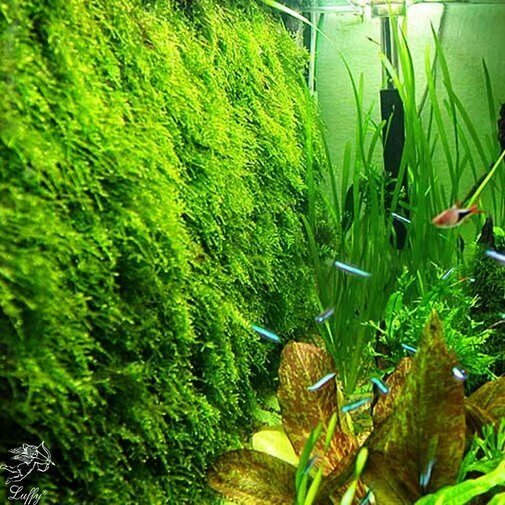 It’s suitable for various types of moss, for example Java moss or Christmas moss. Once the wall or carpet is set up, the moss will grow through holes in the mesh. It only requires a few minutes to set up and maintenance is simple. In addition, it will also provide a more colorful, vibrant and homely space for your fish. Similar to our #3 option, this 3D aquarium background also depicts a rock backdrop. However, this version will add a little more edge to your aquarium. The dusty brown rocks give off an amazingly lifelike convex effect, which will make your guests think that you personally selected them with zero effort! If you like the aesthetic of rocks, we recommend this background. 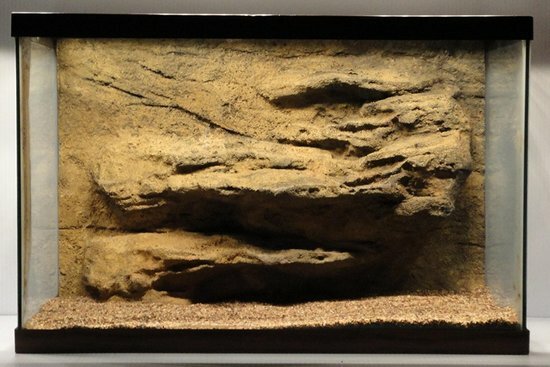 Not only will you save yourself the trouble of having to add real rocks to your aquarium (which aren’t as cheap as you would think), but setting up the makeshift rock backdrop will require much less time!